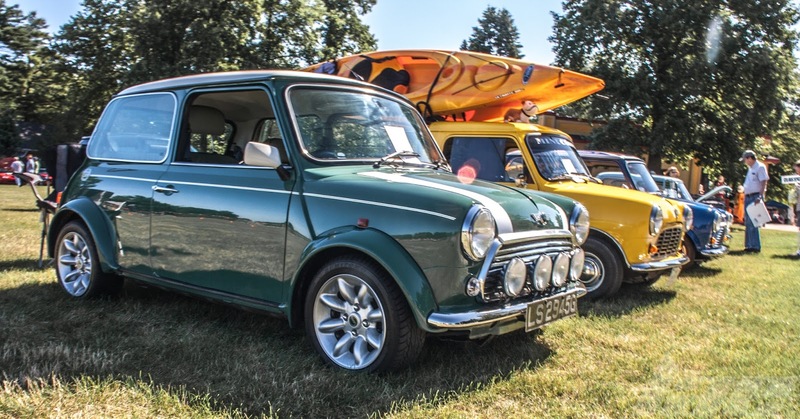 The Mini Cooper. You're probably familiar with the newer models made by BMW. But it all started far before that. 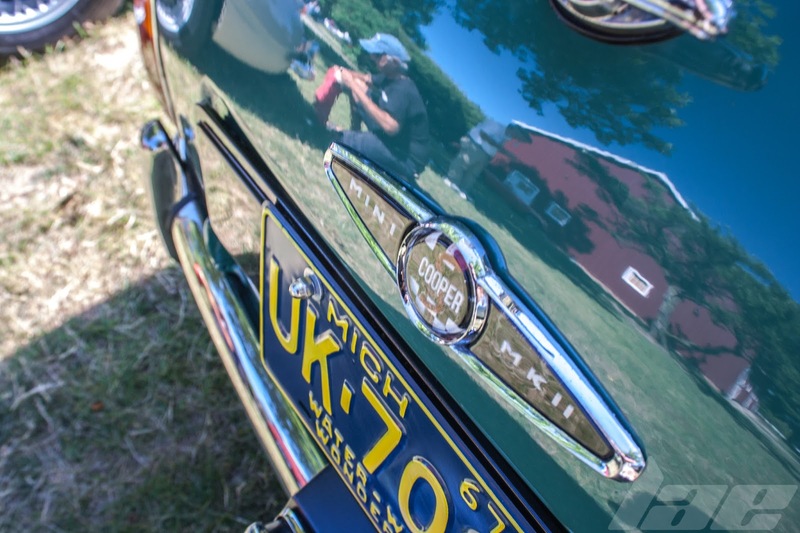 Manufactured by, and under several diferent marques, such as British Motor company, British Leyland, Austin, Rover and others, since 1959 up to about 2000 in certain markets. 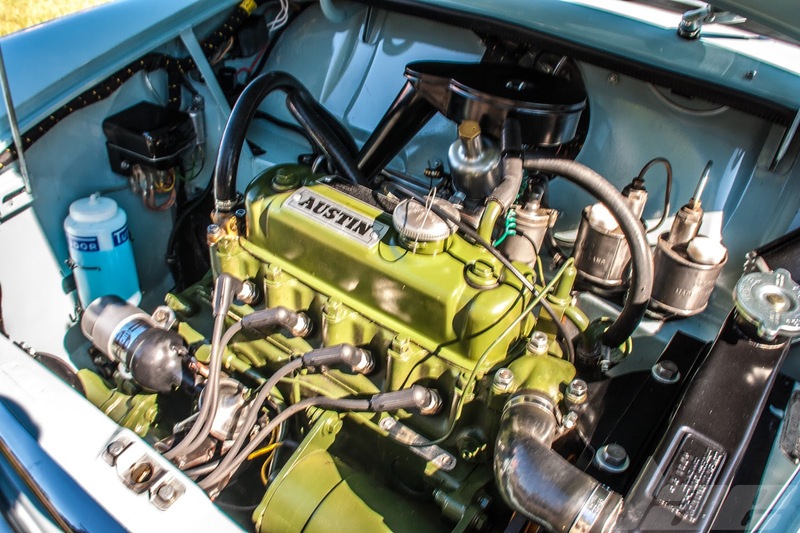 Engineered to be the most efficient use of space possible, the engine and transaxle sit as far forward as possible, creating as much interior space as possible. This photo from wikipedia shows just how well the space is used. 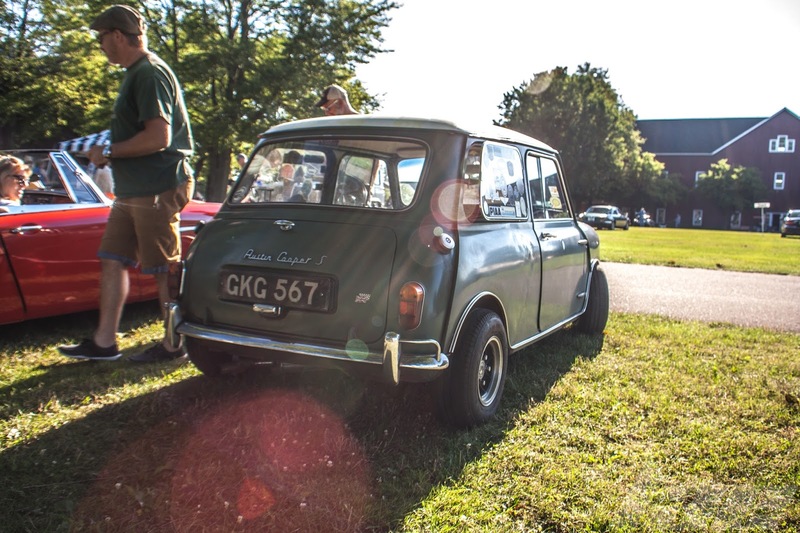 The car isn't large by any means, unless you compare it to an early fiat 500. The roofline is only 53 inches off the ground. But the most impressive dimension is the length, at just 10 feet long. 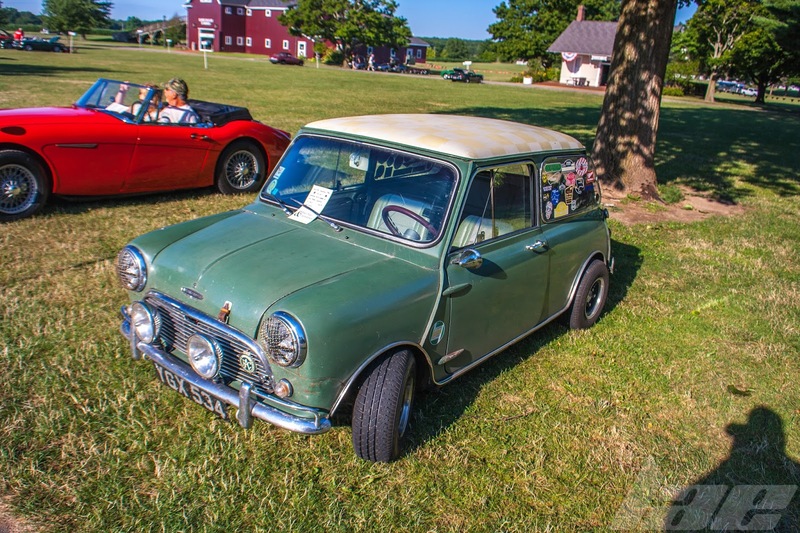 Some of the Minis at Mad dogs and Englishmen were in extremely clean, like-new condition others were a bit rough. This one, while not rough at all, wasn't the nicest one there. 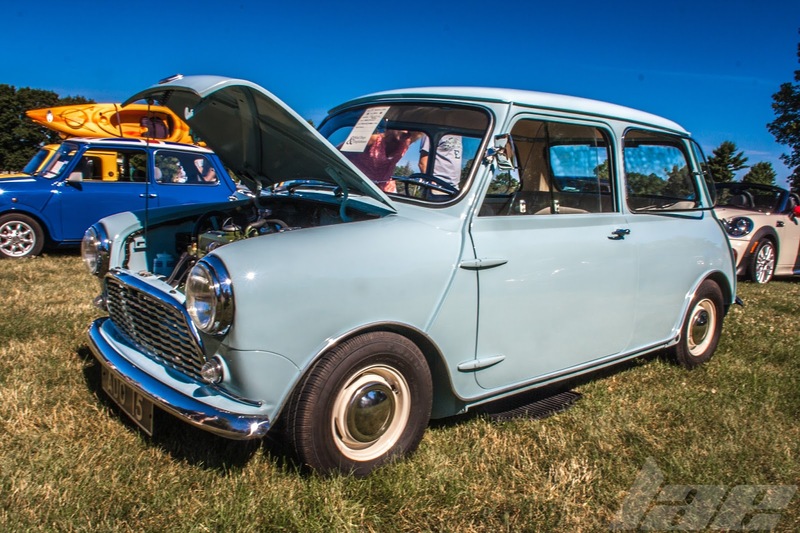 Over the years of it's production the Mini had a variety of engines ranging from an 848cc I4 up to a 1275cc I4, which this one here has. 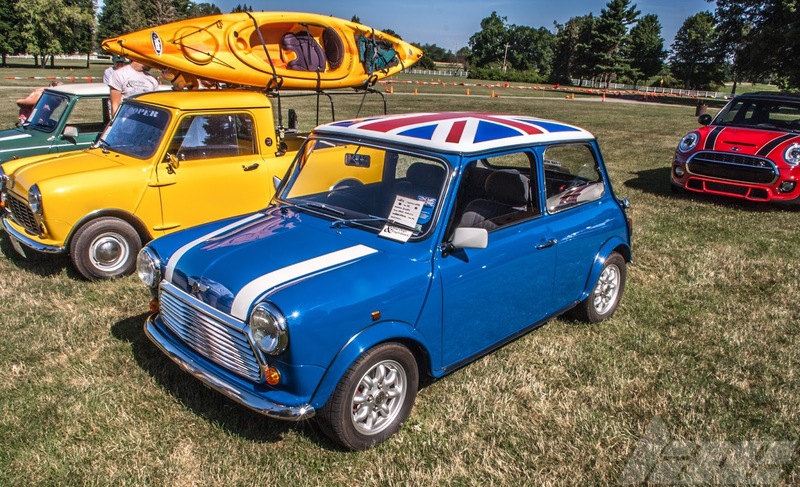 This one was perhaps my favorite of all the Minis there. 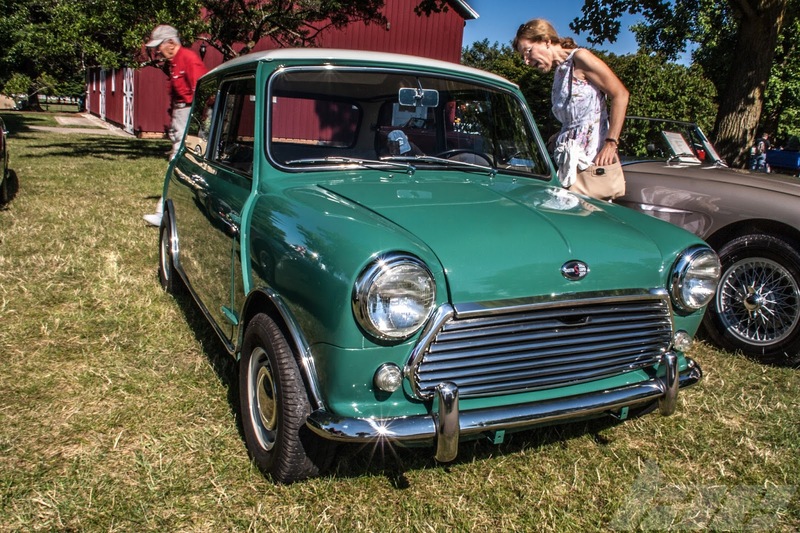 This little car was extremely clean. 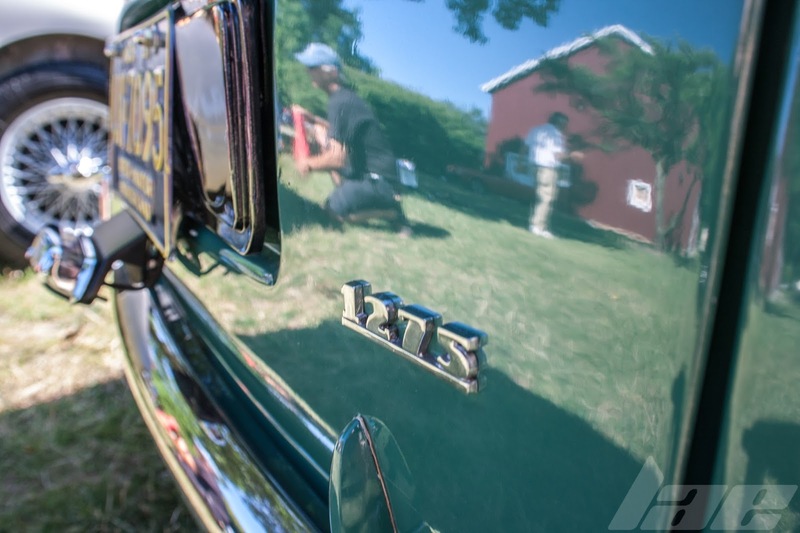 The owner told me it has been completely restored. Even the engine bay looked fresh. 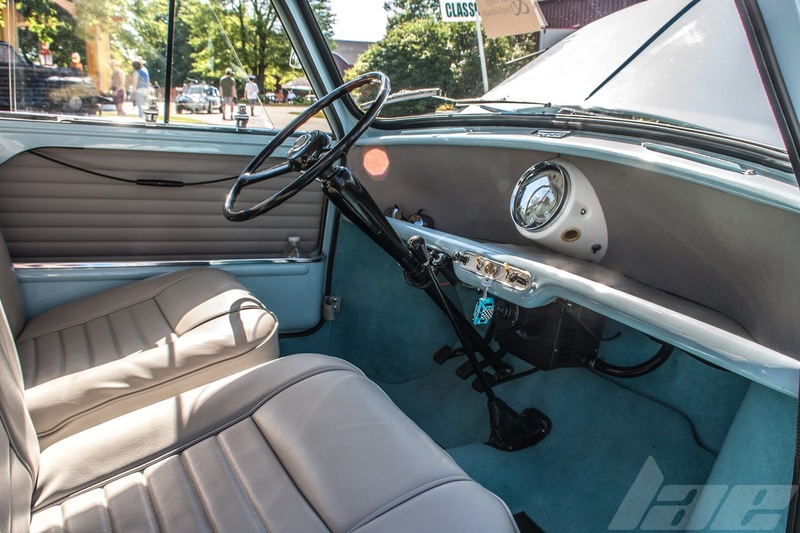 The interior, like most economy cars, is fairly spartan. Just a flat dashboard, a single gauge and the controls. Simple, but it works. 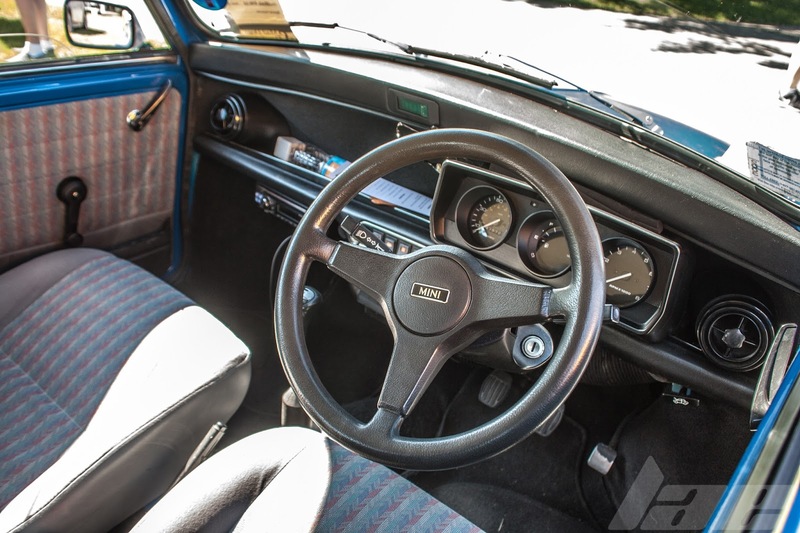 This Right-Hand-Drive example was pretty cool. I never saw it with the hood up, but it sounded like it had been modified a bit. This model was, I think, from the 90's, which is reflected in it's slightly more modern interior. 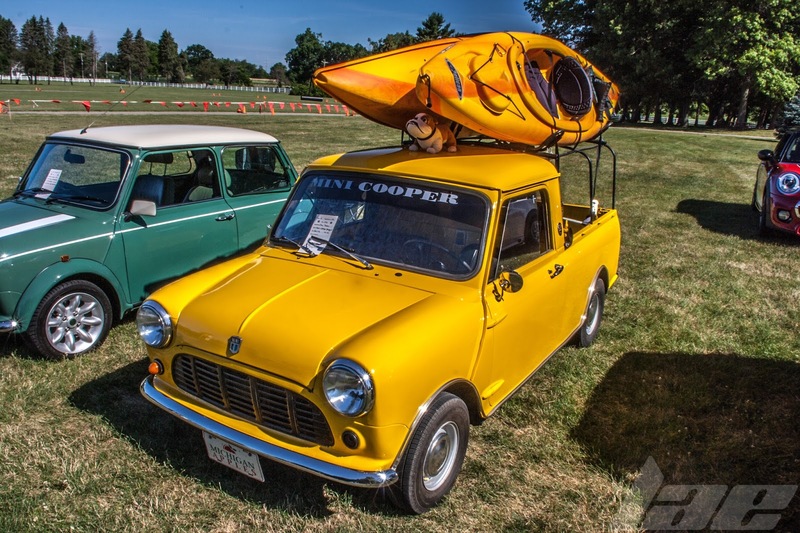 This little Mini Pickup was a pretty cool kayak hauler. This aggressive-looking example here was so well built. The wider flares, the lightweight wheels and the driving lights make it look ready to attack a rally stage or road course. 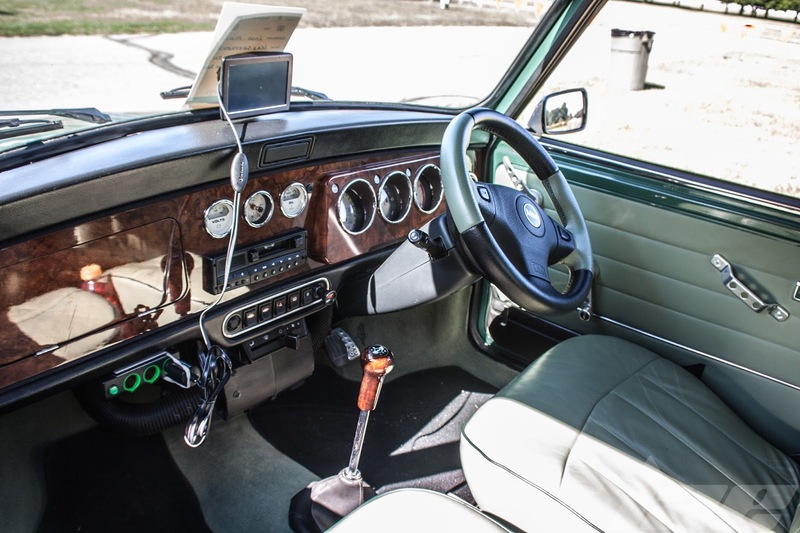 The interior indicates that this is also a later model with some added creature comforts like charging ports. Thanks for checking out my website. Please, check back often for more content.